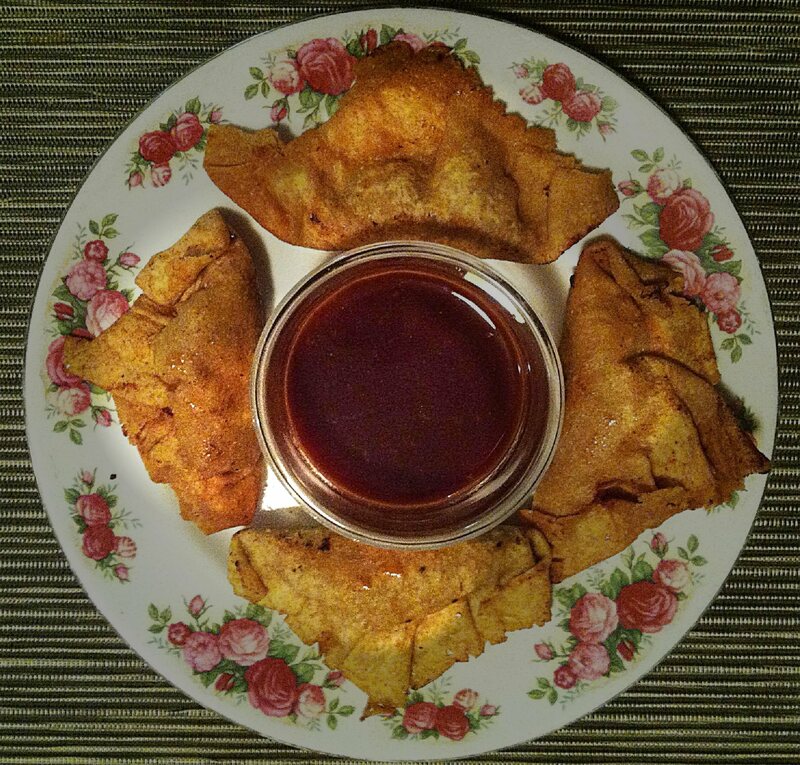 We made fried won tons all from scratch last night.They were suppose to be pot stickers but we didn’t have a lid for the wok. 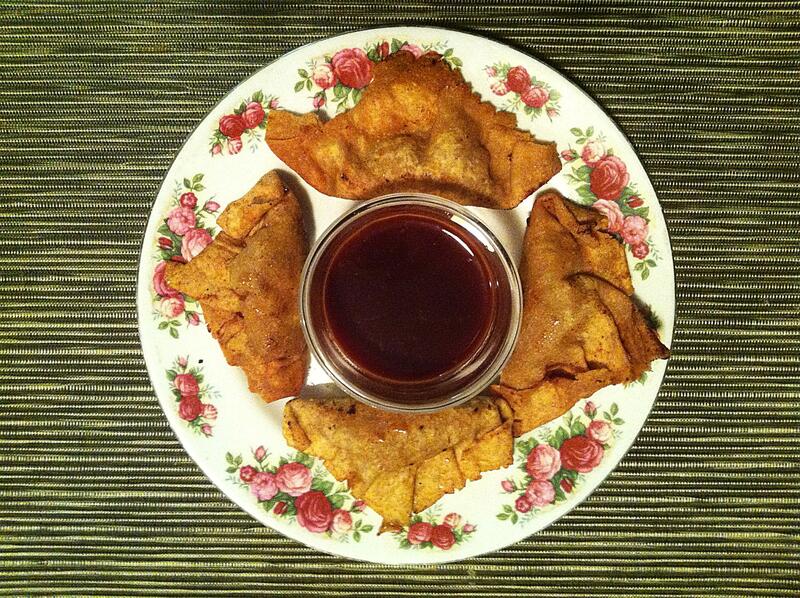 Since we didn’t have a lid, we just fried them. They were still really good. The wheat we eat today isn’t like they ate thousands of years ago. In nutrition sampling tests, Einkorn has been found to be a “more nutritious” grain. Einkorn contains higher levels of protein, essential fatty acids, phosphorous, potassium, pyridoxine (B6), lutein and beta-carotene (lutein). Einkorn is a “hulled” wheat, whereas modern wheats are not. The hull can protect the grain from stray chemical contamination and insects making it an easier grain to grow ORGANICALLY! 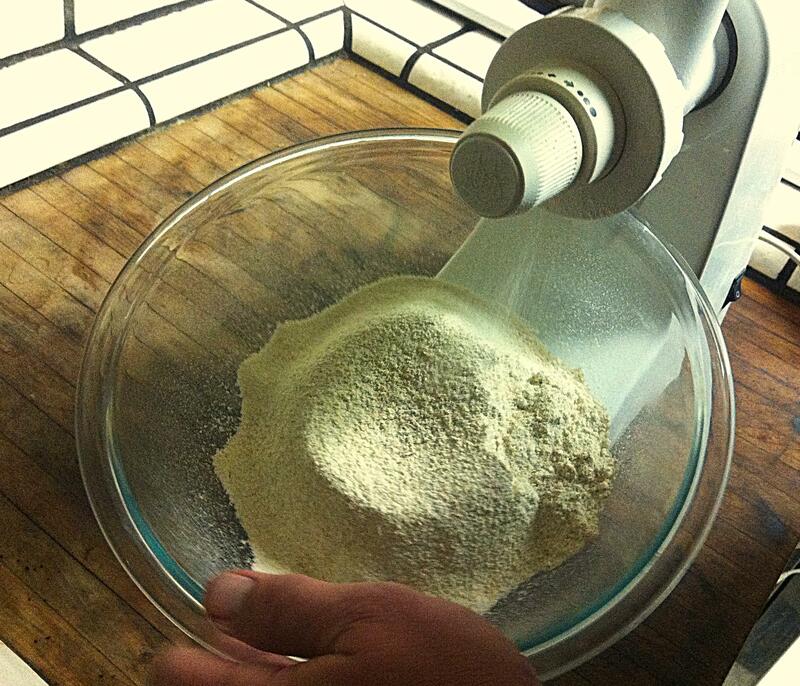 We ground up 2 cups of einkorn flour. 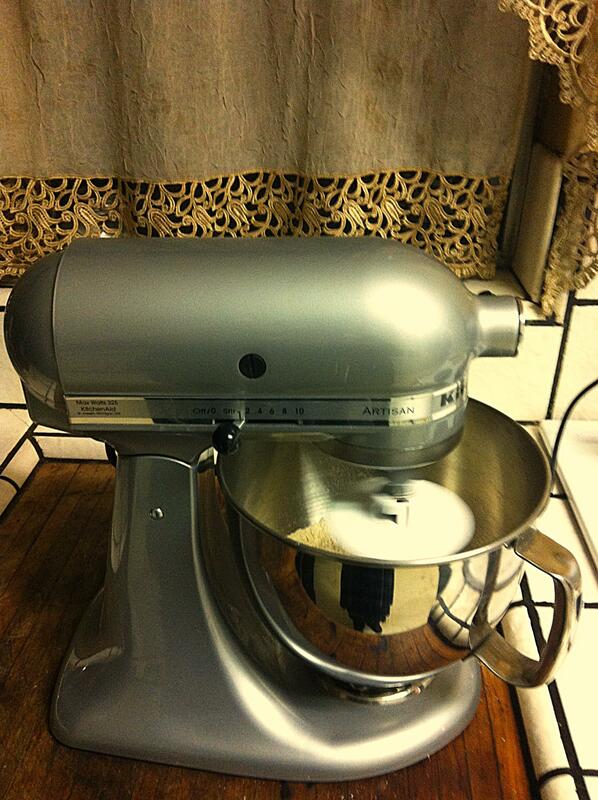 Then we added the flour to the mixing bowl for our KitchenAid mixer. We made a well in the middle of the flour and then added a mixture of one beaten egg, 1/3 cup water, and 1 teaspoon sea salt. After the dough formed into a nice ball (about 10-15 minutes), we took it off of the KitchenAid mixing hook and cut it in half. 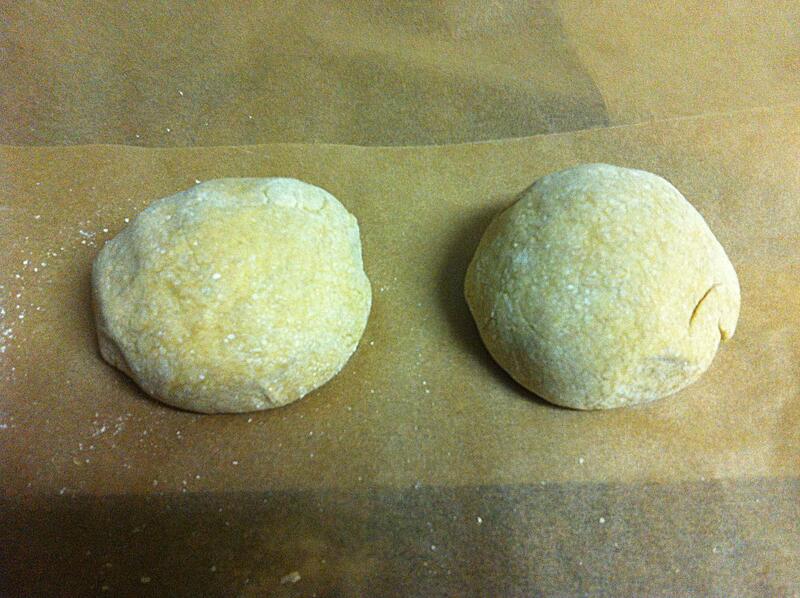 We then made two equally proportioned dough balls. 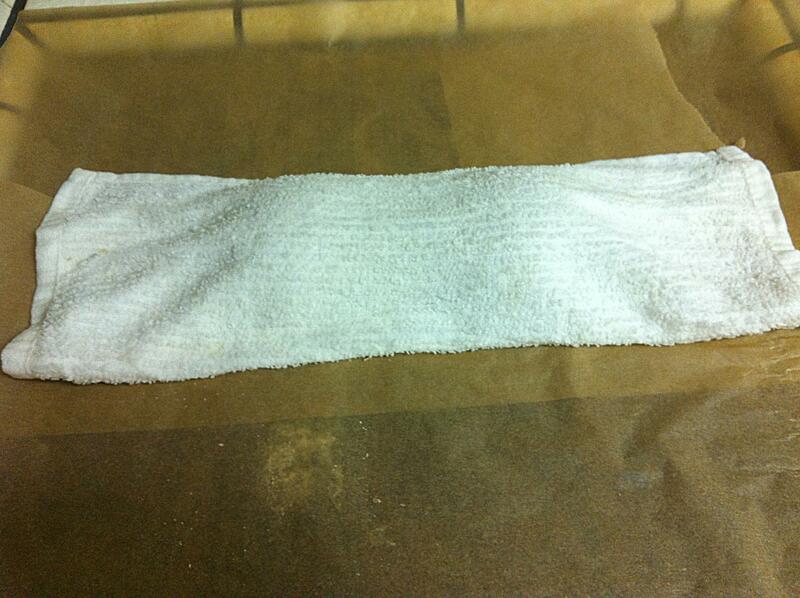 Then we placed them on a wet cloth. 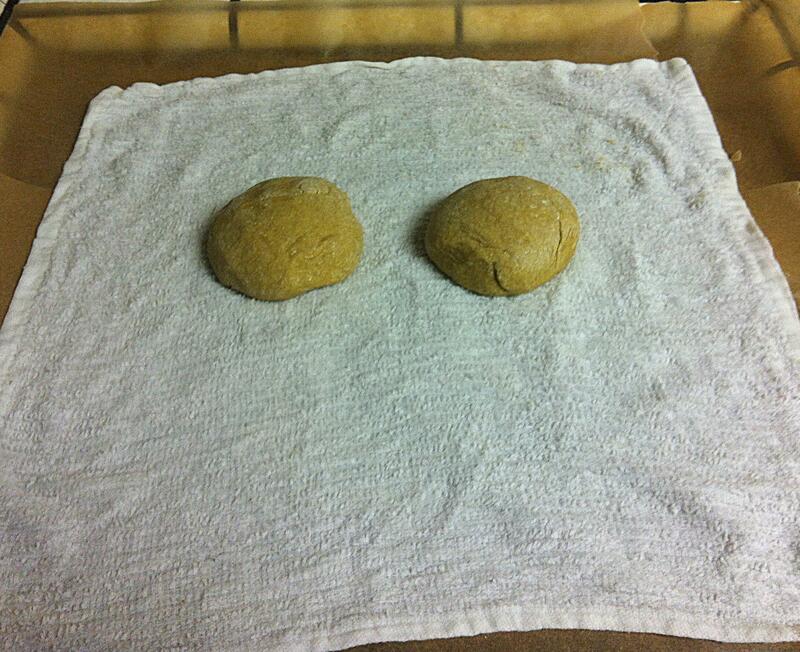 We covered them and let them sit for 20 minutes (only let them sit for 10 minutes if using regular flour). 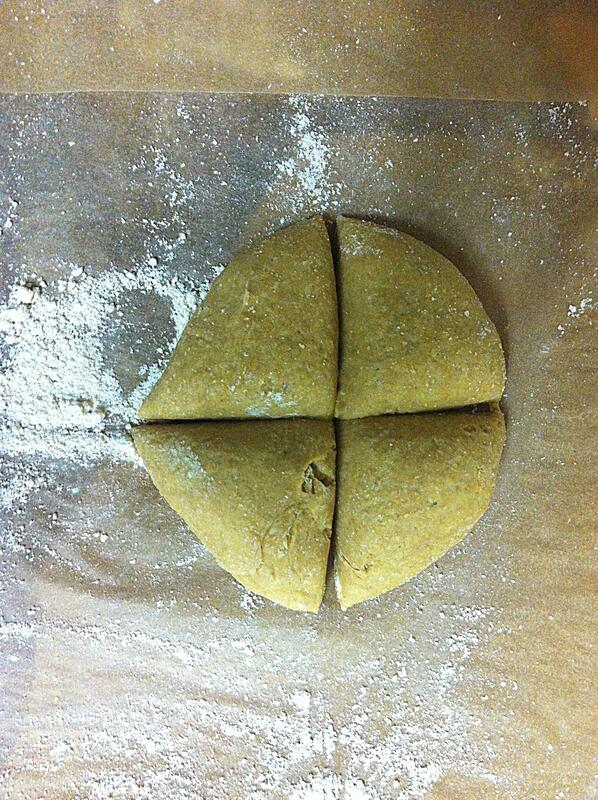 Then we dusted them with flour (because they were too sticky) and cut each one into four equal pieces. 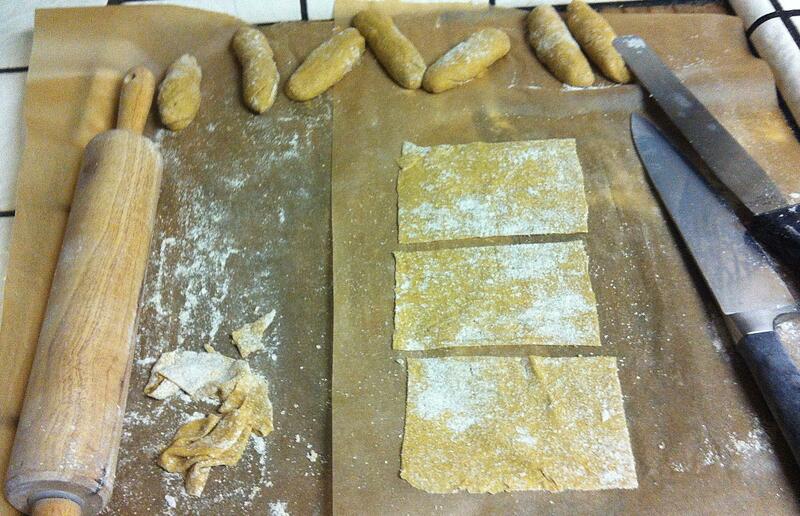 And rolled them out with a rolling pin. 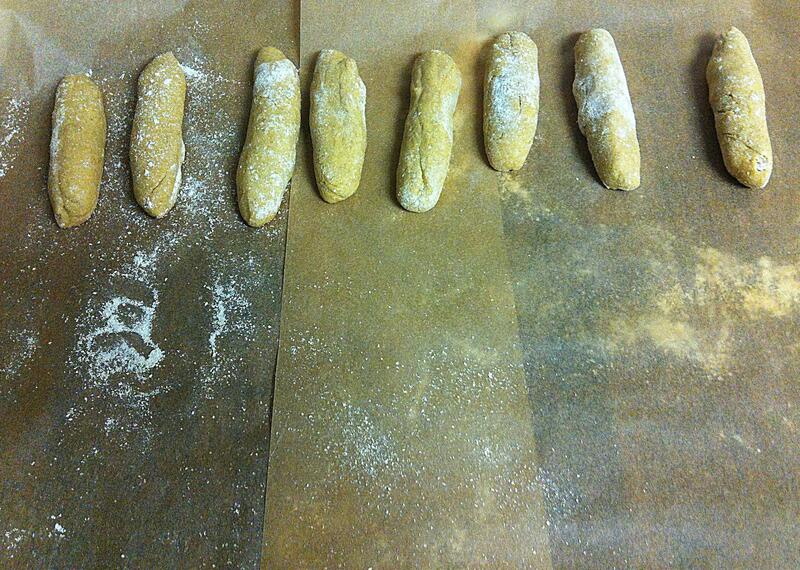 Dusting them with flour when needed. 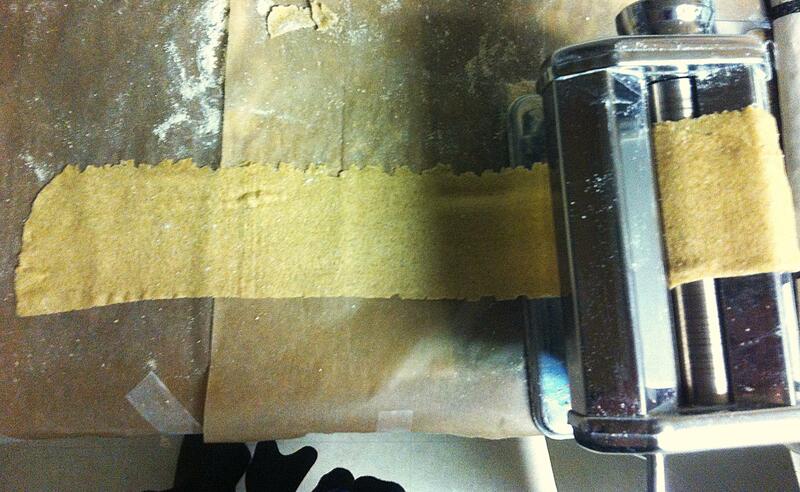 I found that rolling them out was difficult for me and so I decided to try using my pasta machine. I rolled them out on the thinnest setting which seemed to be sufficient. We then made the stuffing. 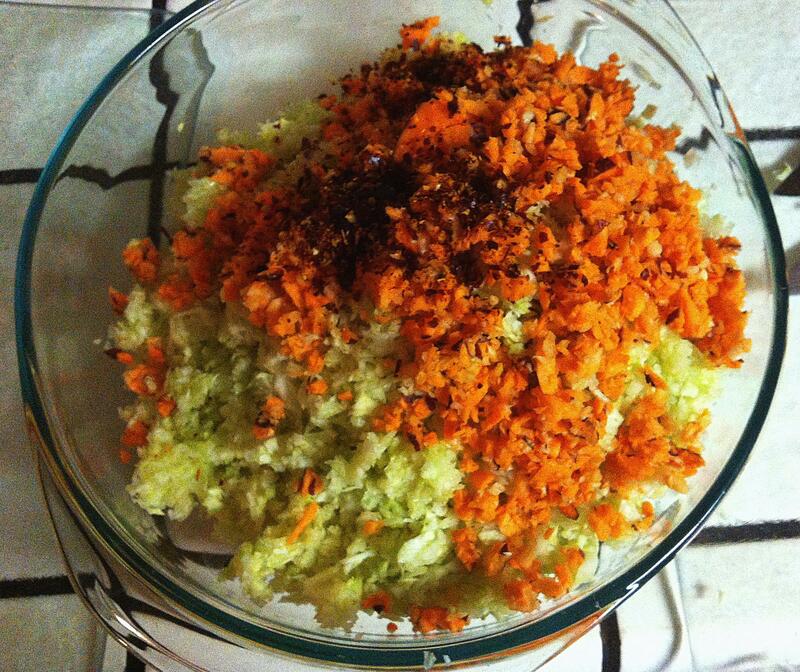 We shredded the leeks, yams, ginger, elephant garlic, and mushrooms. We then added the (cooked and finely chopped up) bison and paprika. We wrapped a spoonful of the mixture into each wonton folding and pressing the won ton together until it formed a bond. We fried them in 1 cup of rice bran oil for around 5 minutes. Next we made the sauce by mixing, tamari, tomato paste, ginger, coconut nectar, and fresh lemon. Posted by simplycookingrealfood on November 5, 2013 in Main Dishes.